Uterine Fibroids in Pregnancy - Can Anything be Done Naturally? Uterine Fibroids in Pregnancy – Can Anything be Done Naturally? 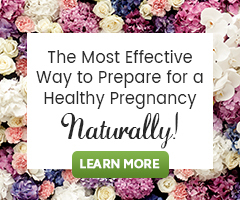 Home → Fertility issues → Uterine Fibroids in Pregnancy – Can Anything be Done Naturally? It is believed that 40%-60% of women have uterine fibroids by the age of 35. Many of these women have no idea that they do. This is because not everyone with fibroids experiences signs and symptoms as a result of them. The fibroids are often detected during their first ultrasound in the first trimester of pregnancy. This can be a very scary discovery! The good news? Experts say that in most cases, uterine fibroids do not cause pregnancy complications. Many women with uterine fibroids have normal, healthy pregnancies and successful, uncomplicated births. Uterine fibroids are rarely removed if detected after pregnancy has occurred. This would pose the risk of hemorrhage. Likewise, many herbal and nutritional supplements are not suggested for use in pregnancy, especially without one-on-one guidance by a qualified herbalist or healthcare provider. So, what should you do if you find out you have uterine fibroids in pregnancy? 1. Follow a Pregnancy Diet. It is best to try to avoid foods that contribute to estrogen dominance (linked to uterine fibroid growth) like dairy, red meat, pork, and soy. You may be concerned about removing these protein sources, given pregnant women need to consume 70-90 grams of protein per day in pregnancy, so instead focus on eating organic, grass-fed, plant, white meat and cold-water fish sources of protein. 2. Take pregnancy supplements. Take a whole food prenatal multivitamin daily and a quality omega-3 supplement like cod liver oil. Among the many benefits of omega-3s is their anti-inflammatory action known to help reduce pain and discomfort. Please, if you experience pain or bleeding in pregnancy, contact your doctor immediately. 3. Exercise daily. Exercise for at least 30 minutes to ensure healthy circulation to the uterus. Regular, moderate exercise can also strengthen your heart and help you stay strong and flexible. Prenatal Yoga and daily walks are great too! Expect to be closely monitored by your healthcare provider if a fibroid is posing a risk for you and your pregnancy. He or she is likely to monitor fibroid growth, your health and the fetus’ health as well. For women who are not yet pregnant and know they are currently living with uterine fibroids, ultimately, it is best to work to resolve this issue prior to preparing for conception. Healthy lifestyle choices can greatly support uterine health! It is important to take time to support the body in maintaining a healthy environment within the uterus to reduce fibroid growth, prevent formation of new fibroids and support hormonal balance prior to pregnancy. This will help increase your chances of a healthy term pregnancy without complications. Remember, pregnancy problems associated with fibroids are rare. If you are pregnant with a uterine fibroid, talk to your healthcare provider or midwife about any risks for you. He/she is best able to help determine if there may be a problem or not and help you prepare for delivery. I am a 36 year old woman with no kids,due to fibroids.I was booked for hysterically But they postponed due to lack of working equipment and a large number of women with cancer on queue. I would love to shrink these fibroids naturally and conceive. What a blessing in disguise the postponement was if you wish to conceive. Do consider the Natural Therapy Plan for Uterine Fibroids outlined in this every article.